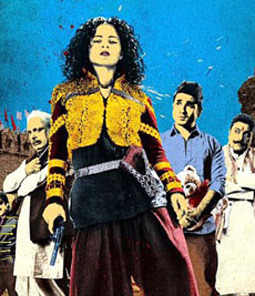 I Am Brutal Lyrics - Revolver Rani : This song is from Sai Kabir's film Revolver Rani starring Kangna Ranaut, Vir Das, Piyush Mishra and Zakir Hussain. Its music composition is scored by Sanjeev Srivastava. I Am Brutal song is written by Shaheen Iqbal and Puneet Sharma.